Since February 2014 two important anti- homophobia institutions combines their forces. Queer Football Fan clubs with over 1,000 members in four European countries now is member of EGLSF (European Gay & Lesbian Sport Federation). EGLSF has about 10,000 members and operates on a climate in sport where everyone is free to decide about his sexual orientation or identity. 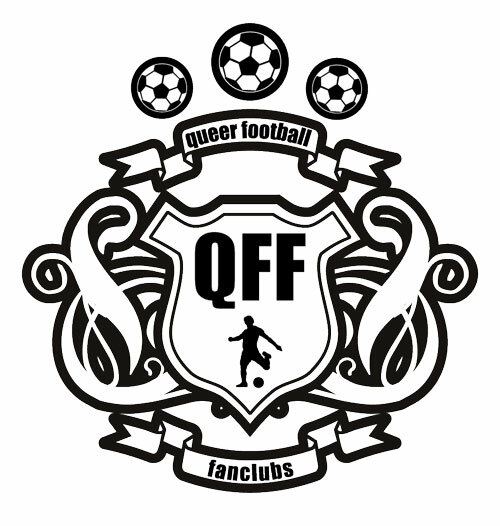 These words also fits QFF, which has founded in 2006 with the goal in football stadiums to improve the fan culture sustainably and allow gay people to a pleasant and mainly safe participation in the "most beautiful thing in the world". Even through the years of co -operation with the "Come together Cup" QFF showed that a meaningful homophobia - fighting must not be operated alone in the field of football fans, but also the athletes. "The more organizations join forces , the harder it is for reactionary forces from politics, sports , church and media to ignore the diversity of people in our society" , speaker Dirk Brüllau thought on this alliance. "As QFF is organized purely on a voluntary basis, we need strong partners, which financially supports actions by us uncomplicated and give us the services and infrastructure," Dirk Middeldorf complements the reasons for membership in EGLSF. So far, the network of gay and lesbian football fans is a member of the organizations ' Football Supporters Europe "and" Football Against Racism in Europe".